Home > 860H075 Timing belt. 860H-075-G Timing belt. 860H075 Industrial Timing belt. 860H-075 HTD Timing belt. 860H075 Timing belt. 860H-075-G Timing belt. 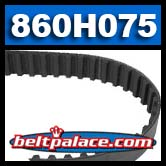 860H075 Industrial Grade HTD Timing Belt. 86” Length. 172 teeth. 3/4” (0.75”) wide. 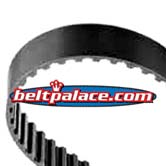 Neoprene (black rubber) replacement “860-H Series” industry standard Timing Belt. Popular replacement belt for industrial printing equipment and power tools such as CNC, woodworking tools & lathes, pumps, and robotic equipment. *SPECIAL PRICE WHILE SUPPLIES LAST! Category: Standard Synchronous, Timing Belt - H, 0.75 x 86in PL, T172. Toothed Gear Belts marked “860H ” at 3/4” Width. Imported Richeng/Great Wall 860H -075.